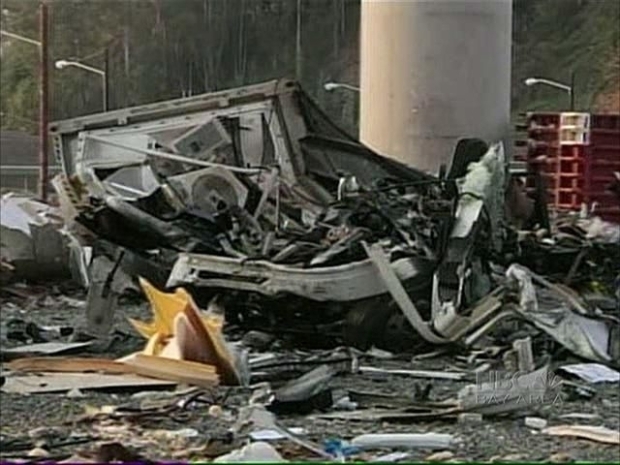 The San Francisco medical examiner's office today released the name of the truck driver killed early Monday morning when his big-rig went out of control and toppled over the side of the Bay Bridge. Hayward resident Tahir Fakhar, 56, was driving west on the bridge in a big-rig truck carrying a load of pears when he lost control on the bridge's S-curve at about 3:30 a.m.
Fakhar's truck veered out of his lane, scraped along a 3-foot guardrail then rolled over the side of the barrier, falling about 200 feet to Yerba Buena Island below. Fakhar was killed and his truck was left a pile of mangled debris. California Highway Patrol officials said Fakhar was driving at about 50 mph, which is the speed limit on most of the bridge. That drops to 40 mph as drivers approach the S-curve and warning signs advise a maximum speed of 35 mph at the sharpest parts of the curve. 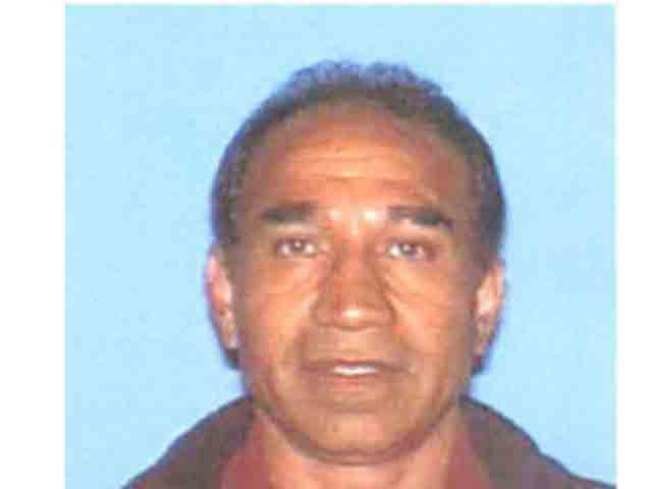 At a news conference Monday afternoon, CHP Assistant Chief Bridget Lott said that Fakhar's speed caused the accident. The s-curve proved too much for a big rig driver overnight. He flipped his rig over the rail and onto the island 200 feet below. While this is the first fatality on the S-curve, the CHP has responded to more than 40 accidents on that stretch of roadway since it was realigned as part of the Bay Bridge closure during the Labor Day weekend. California Department of Transportation officials said Monday that motorists' speed, not the design of the roadway, is the problem. For drivers accustomed to the old roadway pattern, changing their habits could take a few months, said Simon Washington, director of the Safe Transportation Research and Education Center at the University of California at Berkeley. 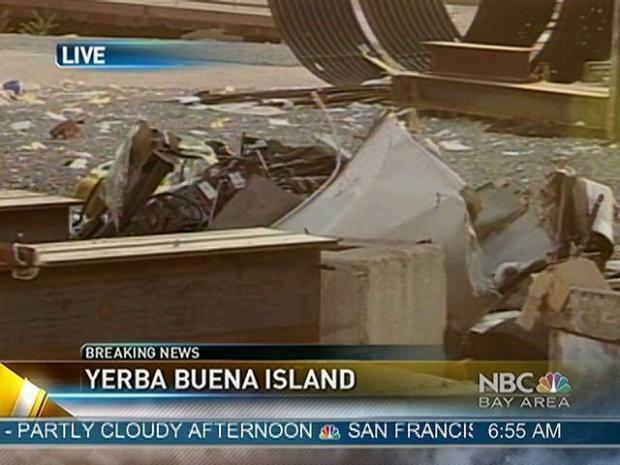 A Hayward man was killed Monday morning when the big-rig he was driving went out of control and plunged over the side of the Bay Bridge. In general, 90 percent of crashes are caused by human error, and 10 percent by engineering factors, he said. Washington said the real issue is not the design of the S-curve, but rather what safety measures Caltrans implements to "respond to the apparent incongruency between the design and the driver behavior." The agency plans to install additional safety features in the area of the S-curve, including reflective stripes, radar speed signs and an overhead sign on the upper deck alerting drivers to the lower speed limit, Caltrans spokesman Bart Ney said.